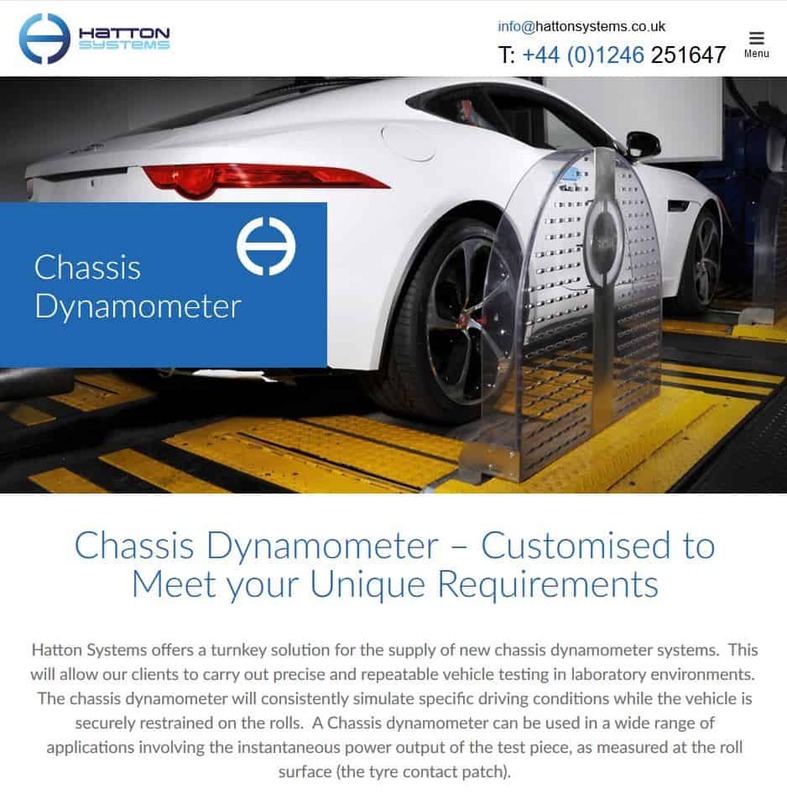 Hatton Systems work in partnership with the automotive industry providing bespoke vehicle testing equipment, which is manufactured in the UK and complies with international standards. From the brief they wanted a new logo, and an easy to use, clear site that explained to their potential clients exactly what they do. After assessing their site, we found it's SEO was lacking in certain areas, and their logo just needed a few touches to reignite it's appeal. We created a net structure of the site which clearly showcased their services, and put in place all the design settings in the site to increase their SEO ranking.